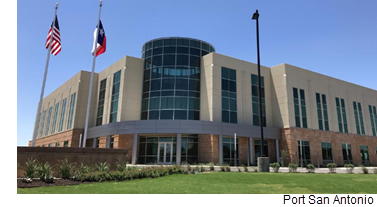 ​ ​SAN ANTONIO – Project Tech, a new $20 million building at Port San Antonio on the city's South Side, opened its doors. The 90,000-sf building includes secure spaces compliant with classified work requirements for the U.S. government, also known as sensitive compartmented information facilities. Plans are to lease space in Project Tech to cybersecurity companies, likely defense industry contractors with ties to joint Base Lackland. While no tenants have been announced for the building, it can fit about 300 workers. ​See als​o: San Antonio-New Braunfels Office Market Research​.